American TV channel TNT was launched in Flanders, Belgium, with the placement of a big red push button on an average Flemish square of an average Flemish town. A sign with the text “Push to add drama” invited people to use the button. People daring to push it were confronted with a very fast sequence of dramatic events occurring in front of their eyes: ambulance, accident, kung fu fight, gangster-cops shoot out, American football team to the rescue… A banner rolls down with the message, “TNT. Your Daily Dose of Drama. From 10/04 on Telenet. 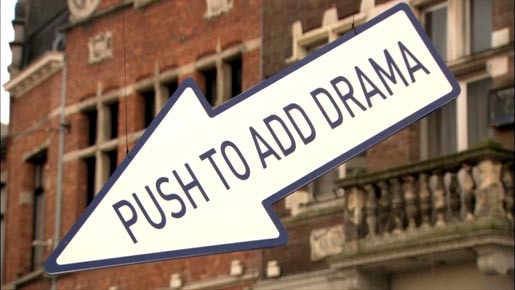 We know drama”. All events in the Drama Button sequence relate to a different TNT TV-series. The series of events was repeated several times filming the reactions of people pushing the button. This compilation of events was launched only by means of social media, internet and via www.tnt-tv.be. 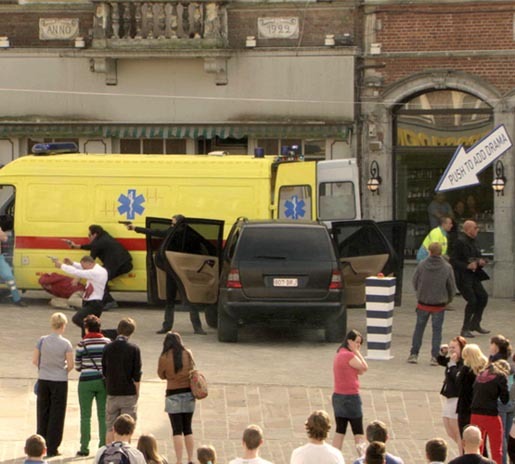 A 30 seconds trailer was aired in Flemish movie parks over two weeks. The Youtube video has received over 18 million views since being launched on April 11. Filming was shot by director Koen Mortier via Czar with directors of photography Norman Baert, Konrad Widelski, David Ramboer, Brian Moons and Wesley De Grie, executive producer Eurydice Gysel, producers Matthias Schellens and Birgit DâHont, editors Manu Van Hove and Alain Dessauvage, sound designer Senjan Jansen. Post production was done at Nozon.